Mark Ethell is the co-founder of Independent Vets of Australia as well as it’s parent company, VetShare Limited. He and colleagues saw an opportunity for an Australian supply-side business that was ‘owned by vets for vets’ and as a result the company is owned by more than 200 veterinary shareholders. This was particularly timely given the growing trends of corporates, multinational buy-outs, big box pet stores and online sales. For 17 years and up until recently, Mark was the owner of The Canberra Veterinary Group comprising small animal and equine practices in the Australian Capital Territory. He was the inaugural President of the Australian Veterinary Business Association which has since become the Veterinary Business Group. 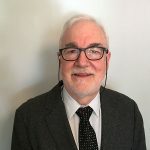 Mark has also served as President of the AVA (ACT Div), AVA Policy Councillor, and on the Committee of the Australian Veterinary Practice Management Association for several years. He also sat as the only external member of the University of Sydney Steering Committee for their Veterinary Teaching Hospitals. Mark is a graduate of the University of Sydney with Bachelor and Masters degree and is a specialist in equine surgery following residency training at the University of Florida. He has also worked as a Senior Lecturer in Surgery at Massey University in New Zealand. Mark is passionate and excited about the considerable benefits that IVA brings to independent practices.